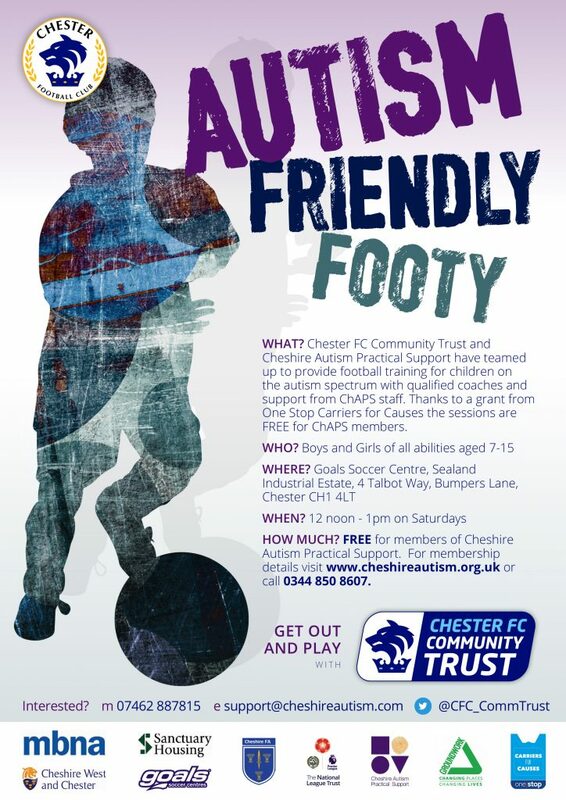 Chester FC Autism Friendly Football offer regular football training sessions for children with autism spectrum conditions. Qualified coaches from Chester FC Community Trust and ChAPS support workers lead the sessions, which take place at Goals Chester on Saturday afternoons from 12 noon to 1pm. For more information about the 80 plus activities ChAPS run every month visit www.cheshireautism.org.uk or call 0344 850 8607.